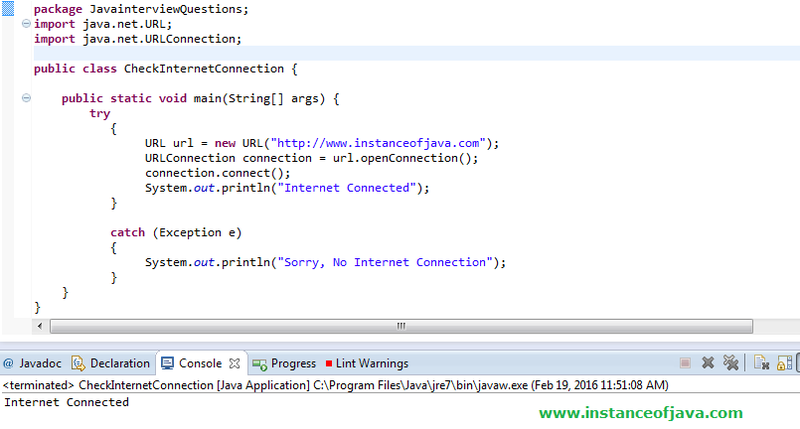 yes we can check internet connection using java code java.net package providing some useful classes. Using java.net.URL and java.net.URLConnection classes we need to check we can check we have a connection or not. The output will be 0 if internet connection available 1 if not. Easy demonstration of program.! Great approach.